Hey, Kbeauty and skincare junkies! Althea Korea's x Get it Beauty's Real Fresh Skin Detoxer Set is officially available in Althea Korea and you can get them for 10% off for two! 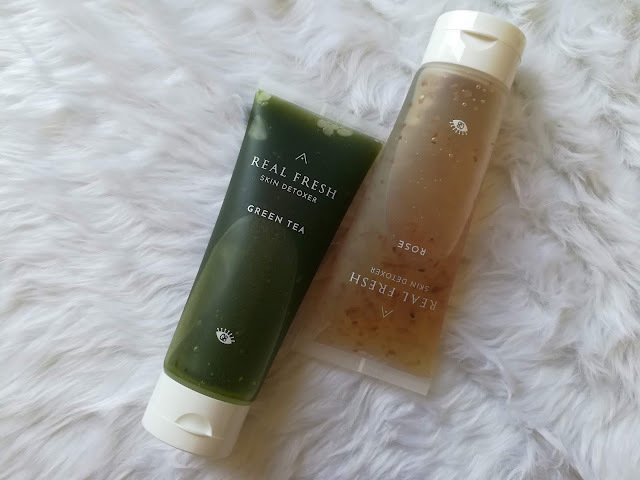 Althea Korea did a product collaboration last July, 2018, with Korea's top TV programme, Get It Beauty, called the Real Fresh Skin Detoxer which is a 10-second mask-to-cleanser skincare product. Although the product was not meant for my skin type, I still encourage my Kbeauty and skincare fans out there to try these masks. It's been a successful collaboration! And did you know that K-pop star Jeonghwa from the group EXID is also a fan of the product? Check out the video below! With the current price, it's totally a steal!